Do you own a commercial office building? 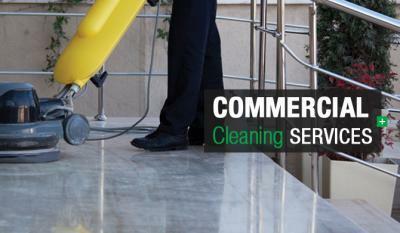 If so, commercial office cleaning in Spartanburg, SC is something you may want to consider having done by us. We’re experts at office cleaning and will never miss a spot. We know just how crucial it is to keep an office clean, especially since it’s so easy for dirt to accumulate in an office building. You may have dozens of employees working in the office. With all of those different people entering in and out of the building, there is bound to be dirt, dust, and germs all over the place. Without cleaning the office, everything would continue to buildup and the office building would likely look very messy. If you’re not sure which services you may need, you don’t have to worry because we offer all of the services that will have your office looking even better. We can clean the window of your office building on each floor. It doesn’t matter if those windows are large or small. We can reach even the tallest of windows with our specialty tools. We’ll have them sparkling without streaks. Along with the windows, we’re also capable of vacuuming and cleaning the floors. Carpet cleaning is one of the most important things in any environment because they can become dirty so easily. When you think your office building needs a cleaning, feel free to contact us for all your Commercial Office cleaning Spartanburg, SC help you need. We’ll make sure that you’re satisfied with the appearance of each room in the building before we leave. And, if you need our help on the regular, we’ll be there to offer assistance because we know just how important it is to keep the office clean.